Oh HI! You may have noticed my random and entirely unannounced little blog break over here. Yep! I didn’t think about this little nook of the interwebs for ten whole days, and I have to say, it was kind of spectacular. Not that I didn’t miss you! I definitely did. But sometimes, life starts to bubble up around you and ping you with stress (and sometimes it even gives you the shingles virus, TRUE STORY), and you need. a. break. And it’s okay! Things don’t fall apart. In what I find a both reassuring and terrifying universal constant, the interwebs are ALWAYS here. So HELLO, people of the interwebs! What have you been up to these first few days of September? Soaking in the last rays of bright summer sunshine? Or hopping on the autumn train early to featherweight cashmere and pumpkin spice lattés? I always find this time of year tricky. I want to savor the last drops of summer, to make it to one more outdoor concert, to eat dinner on the patio, but at the same time, fall is a welcome change. Something about routine getting righted, and my old boots, and feeling content to turn on the oven again, maybe? It feels happy and familiar. I’m calling this zucchini bread “best,” because I’ve made a lot of zucchini bread, and this version is by far my favorite. Other recipes often come out of the oven too watery and dense, or else don’t really taste much like zucchini. 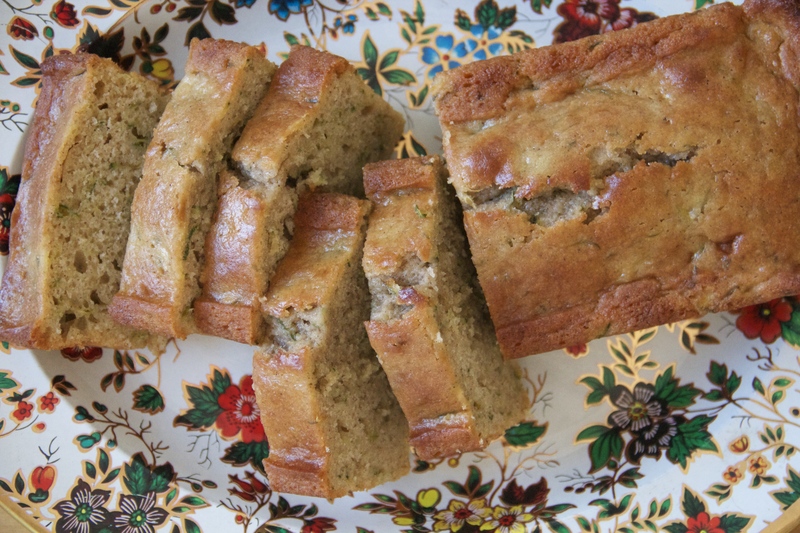 This loaf is sturdy yet springy, rich and cakey but definitively zucchini bread. I made it twice in two weeks — that’s four loaves, total — and we didn’t even have any leftovers to freeze for later. It feels like the right kind of recipe for this time of year – hanging loosely onto summer while settling cozily into fall. Preheat the oven to 350°F, with a rack in the center position. Liberally grease and flour two standard loaf pans. In a medium bowl, whisk together the flour, cinnamon, baking soda, baking powder, and salt until combined. Set aside. In a large bowl, whisk together the eggs and sugar until light yellow and smooth. Drizzle in the coconut oil, whisking to combine, and stir in the vanilla. Fold the grated zucchini into the mixture. Add the dry ingredients, all at once, to the zucchini mixture, and gently stir until only a few streaks of flour remain in the batter. Add the sour cream, and fold it in until the batter is just homogenous. 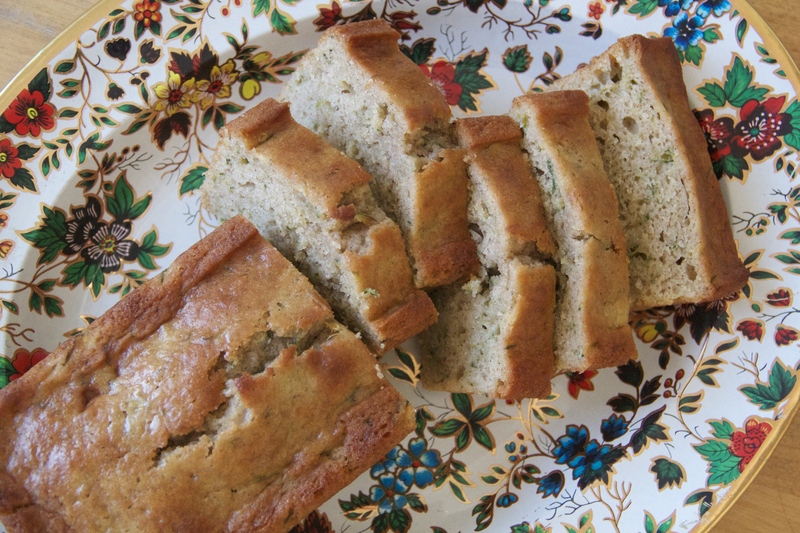 Divide the batter between the loaf pans, filling both just over halfway to the top, and bake the zucchini breads until risen and springy – a cake tester inserted into the middle of the bread should come out clean – about 50-60 minutes. Allow the bread to cool in the pan for about 10 minutes before inverting it onto a wire rack to continue cooling. The bread is best the day after it’s made, but can be happily consumed warm from the pan, if that’s more your style. The cooled bread will keep, tightly wrapped at room temperature, for about 4 days. Previous Post: « TODAY Show! I’ve not tried it myself, but I imagine you could use 3/4 cup Splenda in place of the 1.5 cups sugar here. Good luck! this sounds like it’d be fabulously moist, with all that zucchini and sour cream! i made a chocolate walnut zucchini loaf a couple weeks ago, and it was meh and just had too much going on. bookmarked this for making when i get some more zucchini (all the zucchini i got from this week’s farmers market got grilled and devoured!). ooh, grilled zucchini sounds SO GOOD right now. thanks, Heather! This looks like an awesome recipe! 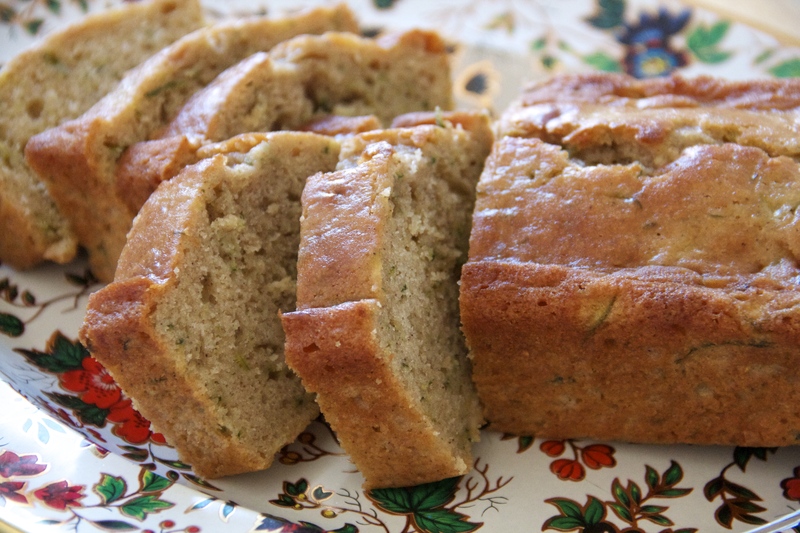 I am such a fan of zucchini bread and now I definitely need to make some soon. Can canola oil be substituted for the coconut oil? I haven’t tried it myself, but I imagine it can, yes!